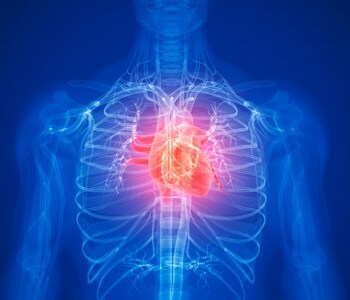 Stage B: Heart failure with no symptoms – About one in three cases of heart failure is due to an enlarged left ventricle (the main pumping chamber of the heart). Some people have an enlarged heart, but have not experienced any of the typical signs of heart failure. Stage C: Heart failure with symptoms – A classic symptom of heart failure is shortness of breath when you exert yourself or lie down. “This is because your heart is having difficulty emptying and filling itself with blood,” says Holcomb. “This causes a great deal of pressure in the blood vessels around the lung.” Other symptoms include weakness; swelling in the legs, arms and feet; sudden weight gain and increased need to urinate at night. While you cannot cure heart failure, your doctor can help you manage it with medications. For more information on treatments, call 573-331-3996.